Hoshanot and Simchat Torah are not of biblical origin. “Five dollars a bundle,” one enterprising kid would call out. “I’ll sell it for four,” called another. “My bundles are six dollars, but they are of the best quality.” And so it went, all night long. Men came from all corners of the neighborhood, happy to pay an extra dollar, support these enterprising young boys and go home with their willows. What are these willows for? Everyone knows about the requirement to eat in the Sukkah during Sukkot. Most people know about the four species that we waive during Sukkot and indeed, one of those four is a willow branch. But what are these willow bundles about? If you know the answer, consider yourself part of a minority. Not many people know about this custom precisely because it is a custom. Not a biblical or even a rabbinical obligation. It is a custom. Yet, it is a custom that generates great excitement. And as we will see, it is of supreme importance. This custom does not appear in the Torah. However, Moses returned from Sinai with a number of instructions that he delivered orally. These are called, Moses’ halakha from Sinai. Among them was an instruction that Jews prop willow branches against the altar in the Temple and parade around the altar. This was done once in each day of Sukkot and seven times on the last day of Sukkot. After the Temple’s destruction, this lovely tradition expired. However, Jews chose to perpetuate this tradition by parading seven times around the bimah (Torah reading table) in the synagogue on the last day of Sukkot with Lulav in hand. (At later point in the service we hold a bundle of five willows.) We also make a single circuit around the Bimah each day of Sukkot. Here is an interesting factoid. When Rosh Hashana falls on Shabbat, we refrain from sounding the Shofar though it is a Biblical requirement. 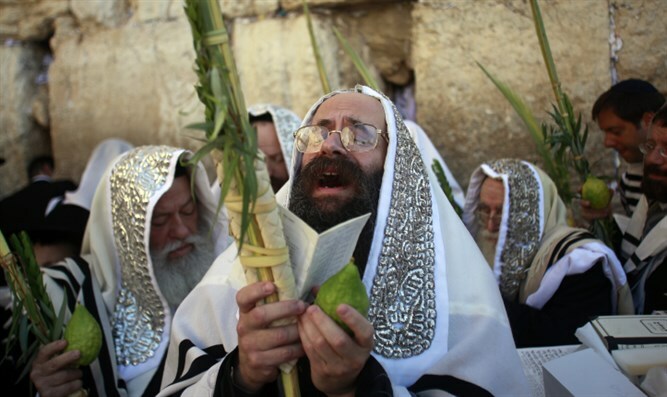 When Sukkot falls on Shabbat we refrain from waiving the Lulav though it is a Biblical requirement. When the last day of Sukkot falls on Shabbat, we would refrain from circling the bimah with the willow. This makes perfect sense, if we would refrain from Shofar and Lulav, biblical requirements, we should certainly refrain from the willow, a mere custom. Yet, here comes the surprise. Our sages always manipulated the calendar to ensure that the last day of Sukkot should never fall on Shabbat. They didn’t do this for the Shofar or the Lulav, they did this only for the willow. This prompted the medieval rabbis to wonder. Why was this done to preserve a custom and was not done to preserve the biblical requirements. If it is acceptable to skip a biblical obligation, it should certainly be acceptable to skip a custom. They explained that the question is itself the answer. The nation would never forget a biblical requirement such as Shofar or Lulav if it were skipped once or twice, but a custom can easily fall into disuse. 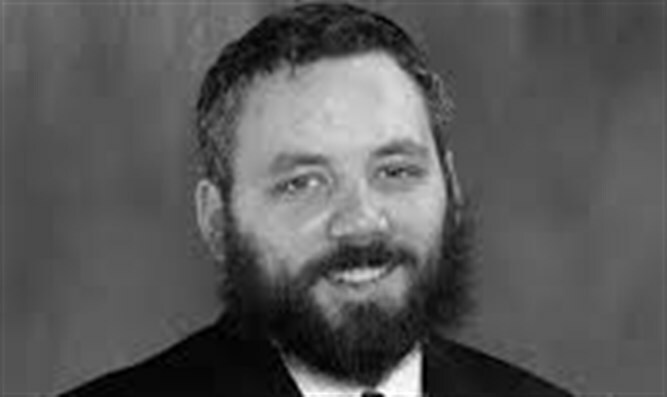 Suppose the last day of Sukkot fell on Shabbat for three or four years in a row, it is entirely conceivable that the nation would begin to neglect the custom. This would never happen to a biblical obligation. It was thus necessary to buttress the custom by ensuring its continual practice. Kabbalah takes a deeper view and makes the following assertion. The nation doesn’t ensure the custom’s survival. The custom ensures the nation’s survival. Let’s probe the motivation for a custom. We fulfill our biblical and rabbinical obligations because we must. G-d set forth a framework for relating to Him and if we want a relationship, we must fulfill His requirements. Our observance of those traditions does not speak to our desire for G-d. They speak more to G-d’s desire for us. He established a framework of traditions to enable us to bond with Him. Customs are different. A custom is not top down. They don’t come to us as obligations from above. They are not demanded or expected of us. Nothing is held against us if we don’t initiate them. There is only one reason to initiate a custom; to show G-d that we love Him beyond the boundaries of His norms. We ask ourselves what we can do to show G-d how much we love Him. Fulfilling the commandments is the least that we can do. We can’t well disobey Him if we love Him. But what can we do beyond the letter of the law to show our love? How can we express our feeling that we are not just connected to G-d for the sake of obligation, but because we are intrinsically one? The answer is through custom. When we adopt a custom that we know is not binding, but we bind ourselves to it by choice, we demonstrate our truest connection to G-d. It demonstrates that we don’t fulfill our obligations and then go home to enjoy our own life as would be expected if we were separate entities from G-d. G-d is our life. We are one. Even when the obligations are fulfilled, we stay on to do more. This unchanging, unbending and unbreakable connection with G-d, expressed through custom, has ensured our nation’s survival despite the hardships, challenges and temptations. It might be hard to be a Jew, it might be challenging and difficult, but we remain Jewish because it is who we are. Customs demonstrate a love, passion and enthusiasm that temper every challenge to our Judaism. It is our essence. It is who we are; the sum total of our existence and the pinnacle of our desires. Judaism is us. This unwavering, unchanging commitment can not be dismissed under any circumstances. Obligations can be overruled. Requirements can be excused under certain conditions. If Rosh Hashana falls on Shabbat we can be excused for skipping the Shofar. Same for the Lulav on Sukkot. But the willow is a custom, and that prevails. It is something we never want to break. Our sages ensured that the calendar would always support the custom because they never wanted to go without it. They never wanted the calendar to keep them from showing G-d that they were in it despite the lack of obligation. Furthermore, because the custom expresses the unchanging essence of the Jew, the calendar can be made to support it. We generally understand that the rules of nature bend to no one. If the calendar gets in the way of our obligations, there is nothing we can do about it. We just nod our heads and accept it. But customs are different. They are so powerful, so real and so true that even the calendar, nature itself, cannot place a wedge between that pinnacle of self and G-d.
Just as this is true about the custom of the willow so is it true about the custom of dancing on Simchat Torah. The reason it is the climax and finale of the entire High Holliday season is precisely because it is a custom. We then strike the bundle of willows against the floor five times. This custom is sourced to the prophets. In the Temple all three practices were held on Shabbat for reasons beyond the scope of this article, but the willow on the last day of Sukkot was done with special fanfare to demonstrate that it is done even on Shabbat. Babylonian Talmud, Sukkah, 43b. See Tosafos, Ritvah and Ran ibid. This essay is culled from a talk given by the Lubavticher Rebbe OBM on the last night of Sukkot, 5744.